BJ Robinson, director of UNG Press, shows off some of the published textbooks that the Press has produced. Staff from the University of North Georgia (UNG) Press presented at the Affordable Learning Georgia (ALG) Symposium on the Future of Educational Resources in January at the Middle Georgia State University Conference Center in Macon. More than 150 instructional faculty, librarians, instructional designers, and professional staff attended the event, and instigated discussions about revolutionizing how to use and share educational resources with students and the world at large. BJ Robinson, director of UNG Press and professor of English, along with Dr. Pamela Sachant, faculty editor-in-chief of UNG Press presented on the process of creating open textbooks for higher education . 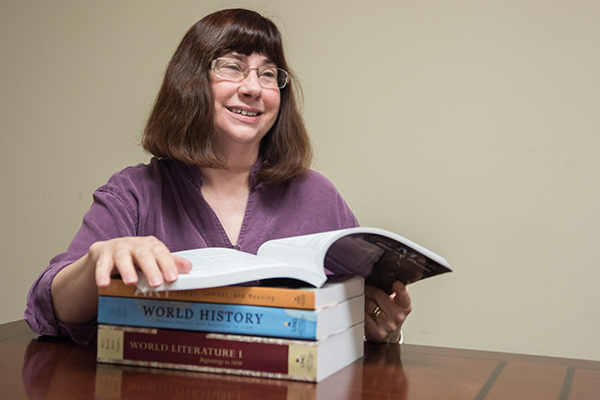 "With current technology, we can update and improve published textbooks fairly quickly. Right now, we’re trying to produce new editions at least every three years, to maintain currency," said Robinson. 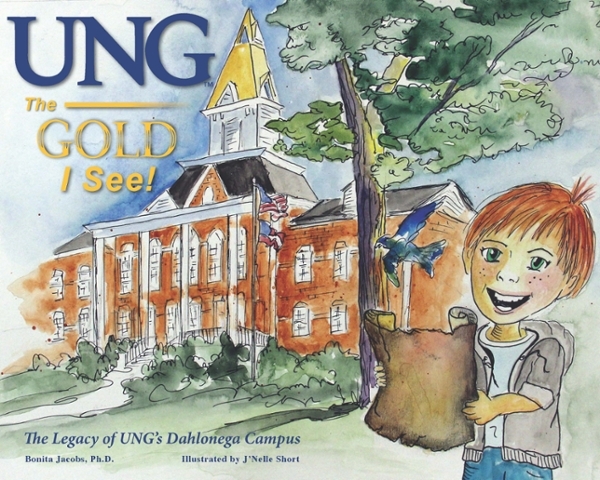 Visit UNG Press for more information.